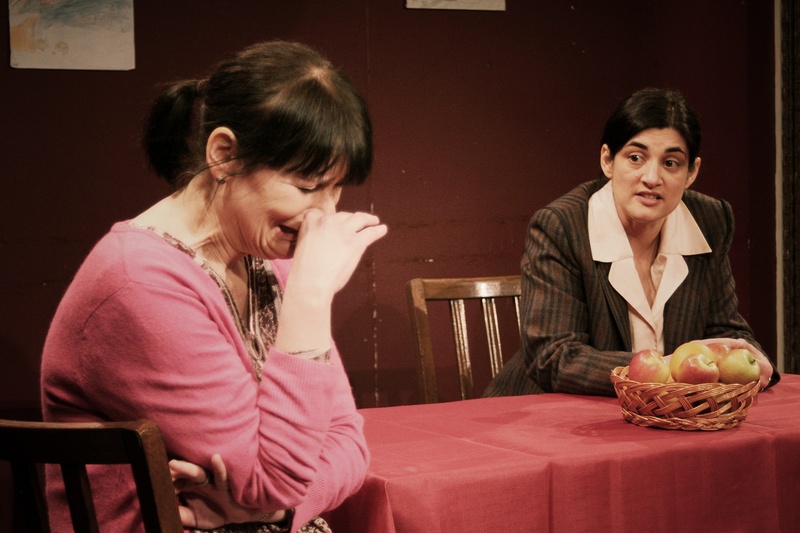 Review: Benefactors at The Lace Market Theatre. Nottingham – East Midlands Theatre. 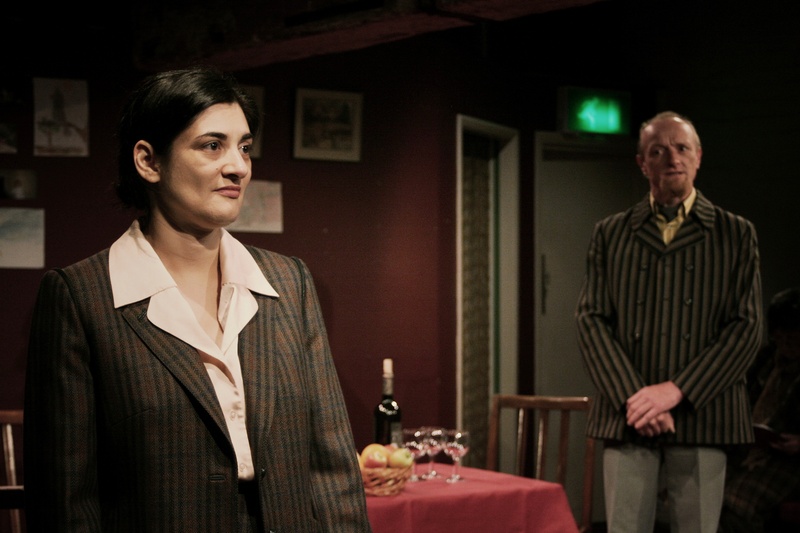 Michael Frayn’s Benefactors, seen here in an intimate studio performance at Nottingham’s Lace Market Theatre, directed by Marcus Wakely, concerns David (Trev Clarke) an idealistic architect in the throes of re-vitalising the housing units in a run down slum section of London centred around Basuto Road. David is forced into considering the potentiality of two proposed skyscrapers for re-housing despite his dislike for them as buildings. Perhaps to over simplify the plot we find, at the centre of the piece, an architect who is unclear about his architectural motivations and is swayed against his better judgement to build higher and higher. Everybody around him, his wife and his originally friendly neighbours react differently to his plans of social reform. Frayn’s play however, harbours no simplistic nor cut out two dimensional characters. The reality of human relationships and behaviour, in all their subtleties are what lie at the heart of the piece. The price of political and psychological change are what engages and makes this a fascinating and wryly amusing piece of social theatre from the writer of such diverse pieces as Noises Off and Copenhagen. The play takes place in London in the late 1960’s when brutalist modern high rise blocks were being introduced into the city to replace the slums of the 1950s and the war damaged estates of the mid 1940s. David’s easy going wife Jane (Clare Choubey) and unseen kids appear to be little more than add ons to his architectural dreams. However his character doesn’t seem monstrous or neglectful but driven. Sheila (Dawn Price) and Colin (Robert Chilton), near neighbours and friends also have unseen children and bleed into David and Jane’s lives in politely and in not so politely ways. 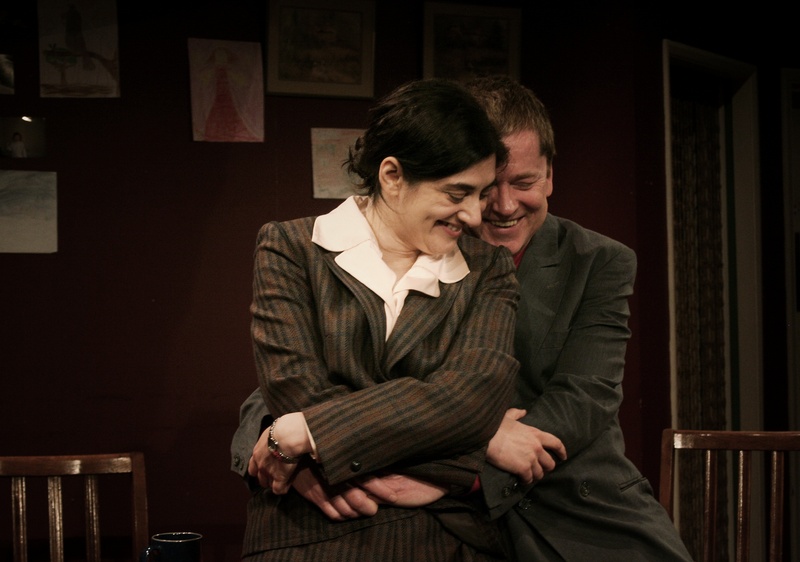 The story features and builds up with revelatory flashback monologues ten years after the events. This retrospective device is brought about predominantly by the women in the first act, and mainly the men in the second. The device serves to engage the audience in the tumultuous life changes that each of the characters go through on a daily basis. Each of the four characters take turn to be the narrator in the piece and all of the actors express their parts very well in what is a wordy and witty play. 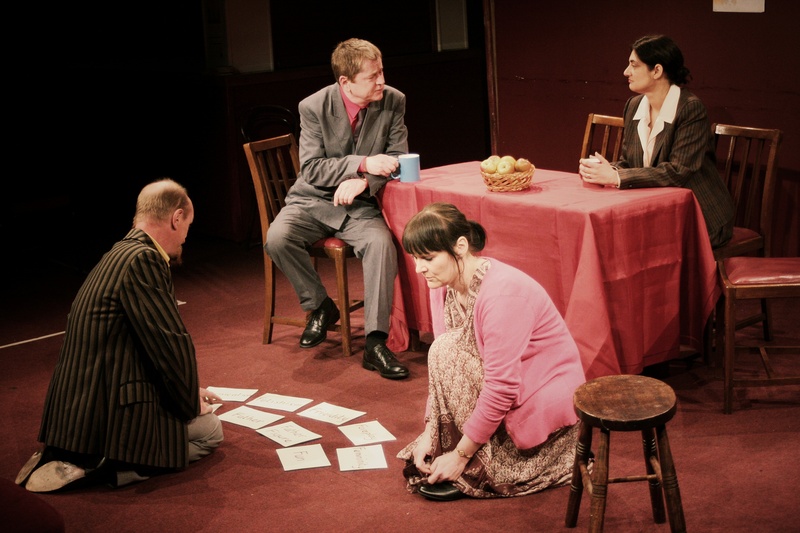 With lesser actors Benefactors could be a verbal dirge but the Lace Market Theatre cast are constantly engaging. The title Benefactors reflects on three of the characters believing that they are do-gooders and that their actions and intentions are really for the benefit of humankind or, at best, their more immediate families and friends. Such beliefs are questionable and form the subtle heart of the drama as most of what they do seems only to benefit themselves. Very soon David’s friend and cruel journalist Colin becomes the enemy who joins the project’s protesters. Colin’s needy wife Sheila joins David as an unqualified secretary. Additional daily architectural nightmares confound the plot. Electrical and sewer piping thwart architectural progress and major obstructions are discovered underneath the very spot where the buildings are to be erected. Maritally seperated Colin becomes a squatter inhabiting one of the deserted Basuto Road buildings and so the drama builds. The whole piece becomes deliciously but uncomfortably voyeuristic and at one point Colin accuses his loveless and lovesick wife of being in love with Jane and further on of being in love with David. He could be correct in both circumstances. We also get to observe in detail, the forever changing relationships of each of the characters, to their spouse and the volatile behaviour it can engender. Dawn Price as Sheila and Trev Clarke as concerned architect David come close to winning the acting honours for their very human and truthful performances as well as Robert Chilton as Machiavellian journalist Colin and Clare Choubey as the turncoat wife who happily touts her clipboard attempting to garner information from the reluctant residents of the soon to be destroyed old housing estate. Or are they? 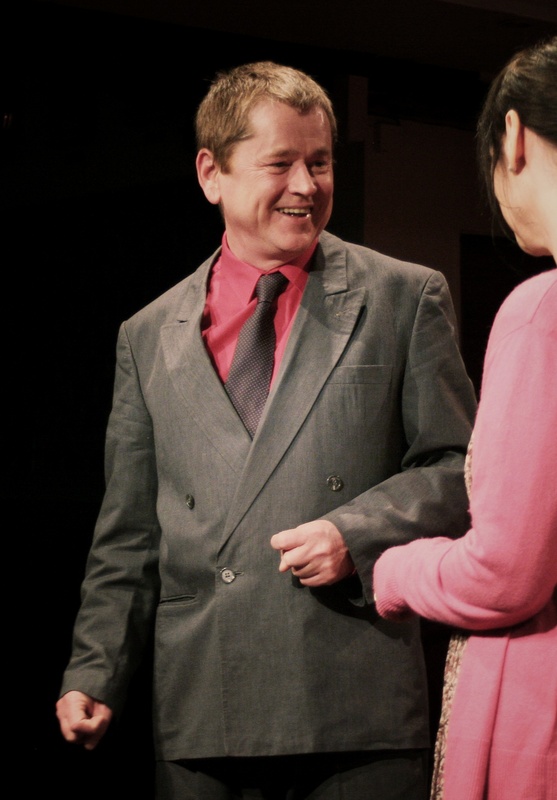 All four actors work exceptionally well with the text and in engaging an audience practically in the round. Not an easy task. Director Marcus Wakely has drawn out some sterling performance in this challenging piece. This play is one that is about to transfer to Karlsruhe in Germany mid May and knowing the mixed language audiences there they will find the play equally engaging and enjoy the dry humour of Frayn’s compelling play. Michael Darmola’s lighting design and Matthew Allock’s subtle sound scape help develop the realism within the surrealism of the piece. Benefactors won the Laurence Olivier Award for the best play of 1984 and although theatrical expectations and tastes may have changed in the proceeding years it is still a beautifully written accessible play that holds our attention with its surreal moments of dry wit and human stories coupled with the theme of good intentions gone bad. The questions the play raises about idealism and social change are still very relevant today. Review: A Midsummer Night’s Dream Nottingham Theatre Royal. 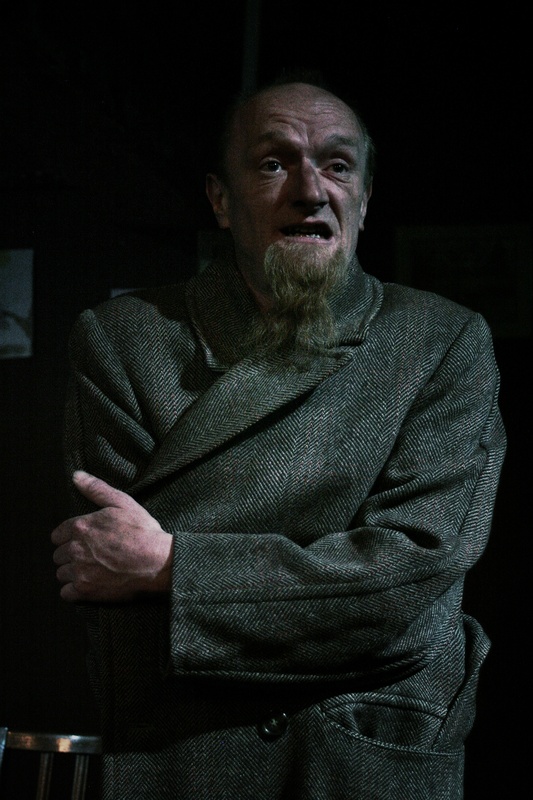 Review: The Government Inspector (Touring) Nottingham Playhouse.